In March 2014, the Illinois Department of Transportation (IDOT) became launching customer of the Charger by placing an order with Siemens in conjunction with the Departments of Transportation of Missouri, Michigan, California and Washington for 32 locomotives. The order included a framework contract for 225 additional locomotives. The locomotives will be used on Amtrak-run corridor services. Of the 32 locomotives, 6 will be delivered to the California Department of Transportation (Caltrans) in 2016. 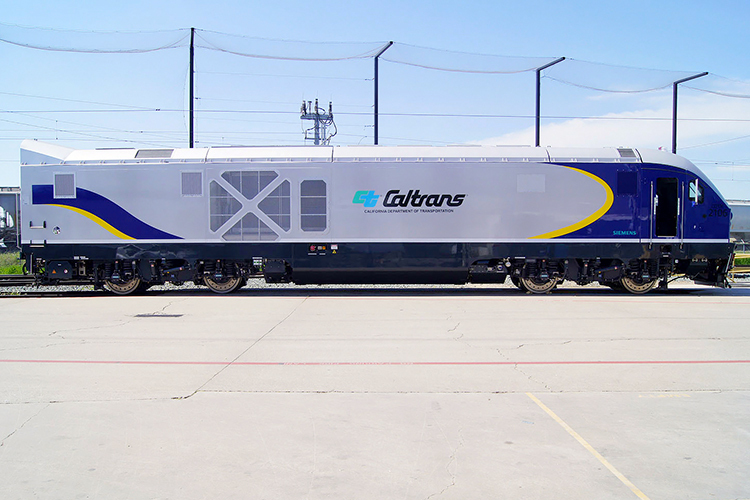 In early November 2015, a call-off order was placed by Caltrans for an additional 14 Charger locomotives to serve the Pacific Surfliner Amtrak route along the Southern California coast from San Luis Obispo to San Diego via Santa Barbara and Los Angeles. Delivery of the 14 machines is expected between July 2018 and February 2019. In 2016, another two options were firmed up. This brought the total number of locomotives on order for Caltrans to 22. Delivery of the two additional locomotives will directly follow deliveries of the second batch.